Ko Lanta is about 1,000 kilometres from Bangkok , and can be reached by plane, train or overnight Air-con bus. If you're flying into Bangkok try to get a connecting flight to Krabi, the closest airport to Ko Lanta. Second choice is Trang and third choice is Phuket. If you want to travel by train you can buy a ticket to Trang Province only. From Trang you can take an Air-con minivan to Ko Lanta from the tour agent opposite the train station. Alternatively, you can take the overnight 24-seat Air-con bus direct to Krabi. The bus departs from Bangkok around 17:00 and arrives to Krabi at 05:30 in morning. 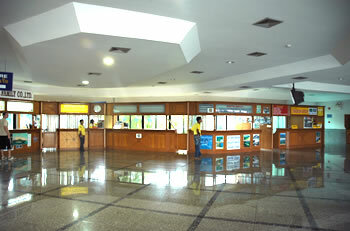 There are no facilities to book tickets in advance, just go to the New Southern Bus Station (Sai Tai Mai) and buy ticket there. From Krabi you can take ferry or public van to Ko Lanta. Bear in mind that you will get to Krabi in the early hours of the morning at 05:30, but the first ferry and first public van are not scheduled to leave until 09-00-10.00 am, meaning a wait of several hours. The ferry run only mid October until to April every year. 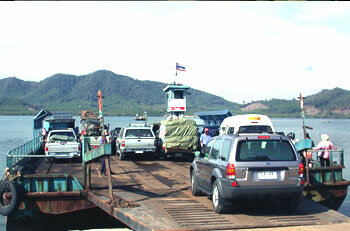 Out of this period, Take Public Van transportation between Krabi and Ko Lanta. The public Van is available all year. If your flight lands at Phuket, there are 2 ways to Ko Lanta is by ferry and by minivan, By the ferry is usually via Ko Phi Phi. Please remember that only the morning ferry can reach Ko Lanta that same day (Ferry from PhiPhi - Ko Lanta start Mid October untill May only), and that the afternoon ferry stays on Ko Phi Phi over night. By minivan, take a public van from Phuket Bus Terminal, the last minivan from Phuket around 13.00 pm. its take 4 hours from Phuket-Ko Lanta and its available for all year. 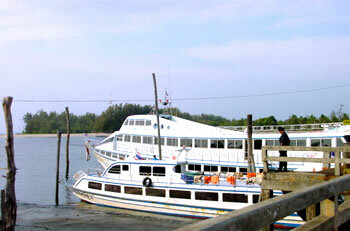 Saladan Pier on Ko Lanta - can access to Krabi Town, Ao Nang, Phuket, Phi Phi island and Koh Ngai. Also use for all boats run the activities trips of the island.